Yeah.... I would have traded the damn car in. Screw all of that! Get yourself a damn ST in the process. i already have the parallel parking assist what extra is needed for the perpendicular parking assist? Since you have gone that far, add some sound deadening before you put it back together since the things are so frigging loud on the highway. Seems too busy of options for my taste and I like a more organic drive than a bunch of stuff doing it for me. Adaptive cruise,rain sensing wipers? I can adjust my driving and turn on the wipers when i see rain;I guess I like it old school and not really into all these driver's aids unless it's something like the emergency braking but a bunch of the other stuff seems to be for lazy,inattentive drivers. Arco-Zakus and Clutz like this. Thanks Aniekan925, yeah it's actually challenging and fun for me. I love life with a challenge. That's why i fly airplanes, sky dive and even bungee jump. For those of you who say i should make it into an ST...... Ummm, i already own 2 turbo charged sports cars. One has 361hp to the rear wheels and my other one has 624hp to all four wheels. I don't want another turbo car. That's why i bought the Titanium. I don't take out my sports cars but once a month if even that. I need a daily driver that gets good gas millage. 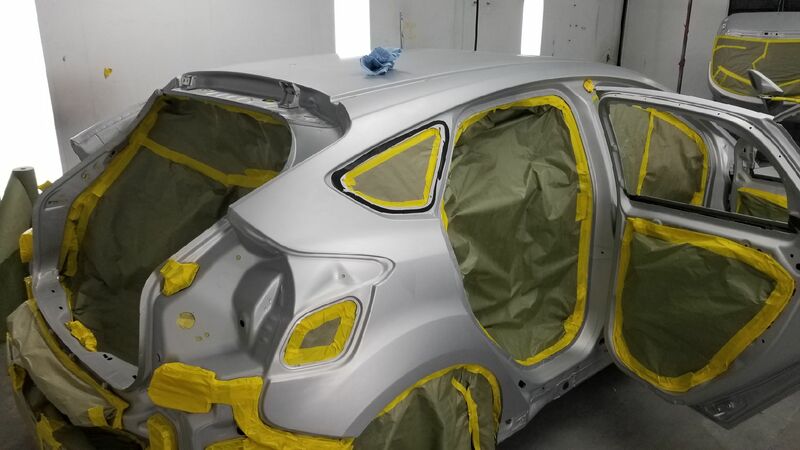 UPDATE: So the car is in the paint booth getting sprayed today. :-D All glass is out of the car including the sun roof. There is not a part on the car that can come off. This is the proper way to do a color change. 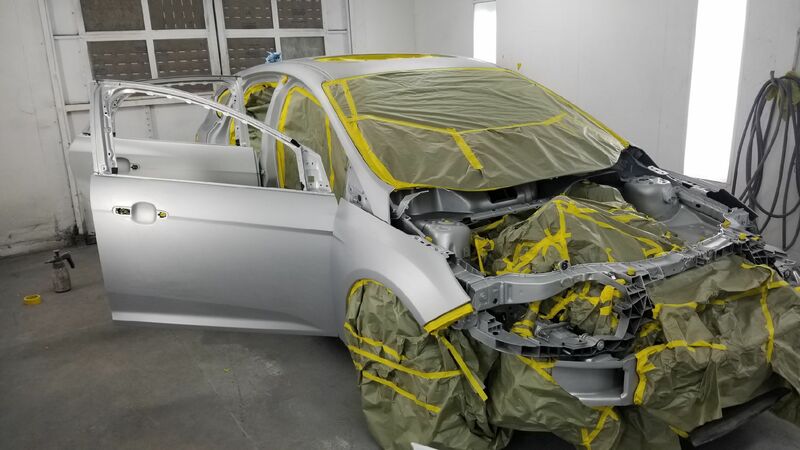 I will get the car back in a few days and start the process of getting everything 2016 installed and put together. 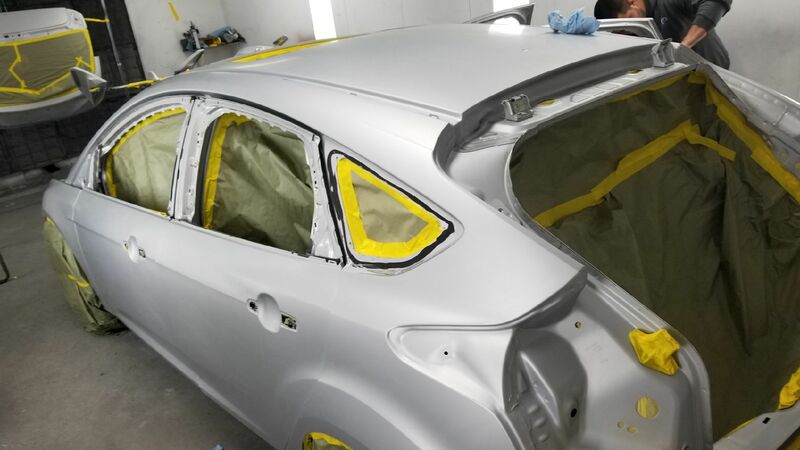 Pics of car in the paint booth. Would you be interested in leading a team to fix the DCT when you've finished this? Funny you would ask about that. :-) There was this guy on LetGo that was selling a brand new in the box, a shaft seal and the complete clutch unit that he got for his 2015 but the car was totaled in an accident so he never got to have it installed in the car. So he sold it to me for 150.00 for the whole unit and seal. :-D Of course i don't need it right now as mine was just replaced under warranty, but if for some reason i will ever need it for my car in the future, at lease i have the unit already and for way cheaper than buying it at Ford. I can't really get into doing fixes on these cars right now. I'm way to busy with my Rotary shop. But maybe down the line if things slow down for me.